I recently had the opportunity to review some delightfully tasty items from Cherry Republic . . . and give a gift box of these items away! Sadly, the person who won did not get their contact information to me, so I'm having a second-chance give-away for this delicious prize! 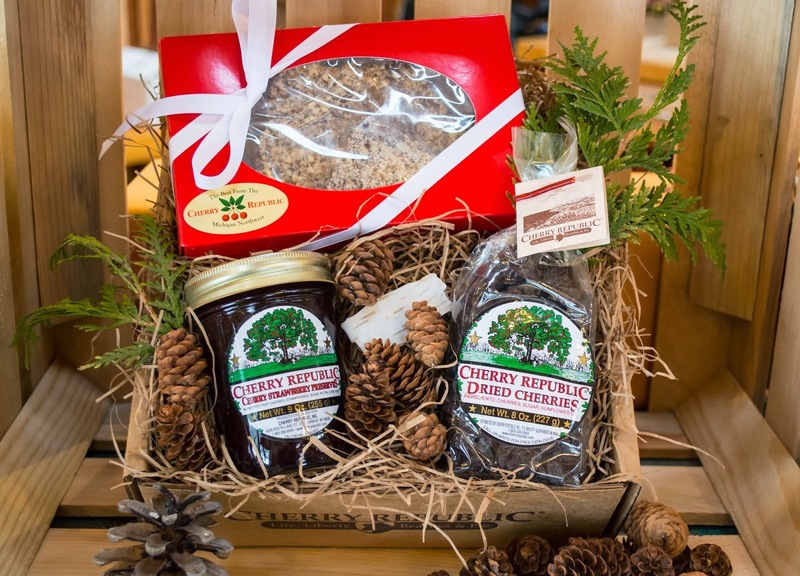 The Cherry Republic gift box includes the following items . . . The second-chance drawing will be on March 7, 2014 (USA only)! So . . . if you are over the age of 18 you may enter by commenting below to let me know your favorite way to eat cherries . . . this is difficult, as there are so many wonderful ways to enjoy cherries, but I would have to say my favorite is in a cherry pie . . . although Dark Chocolate Cherry Toffee certainly has the possibility of rising to the top of my, "favorite ways to have cherries" list! I like cherries dipped in dark chocolate! I like Grandmas Cookie Jar on FB. Cherry pie, cherry cobbler, fresh dark sweet cherries...never met a cherry I didn't like except I never really got "into" chocolate covered cherries...and I am a chocolate lover...go figure! I follow on facebook and email. it is easy to enjoy cherries for sure! :-) Thank you for following! My favorite way is a cherry cobbler. I also like to make this cheery dessert in the crockpot. It only has 3 ingredients! 2. Combine dry cake mix and butter until crumbly, sprinkle over cherry filling. Do not stir! 3. Cook on low for 4 hours or high for 2 hours. 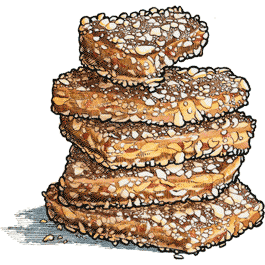 Thank you for sharing this recipe - and for following grandma's cookie jar! WHAT A FANTASTIC PRIZE!!!!! I love dried cherries in dark chocolate bark. My boys and I make bark for Valentine gifts each year. We love to send it snail mail to our friends and family far away. Being a military family we don't get to see our relatives very often so they LOVE to receive little parcels from us, especially when it contain chocolate!!! My hubby LOVES dried cherries and eats them by the handful. Since moving to our new base we haven't found a shop that carries them so he's had to replace them with raisins which aren't his favorite. This would be SUCH a blessing to him. Thanks for the chance to enter. Your blog is such a bright spot in my day. I like you on Facebook, have shared this post and think I follow on Google + but I'm really not too good with technology!!! Thanks again and have a terrific day! Thank you for your family's service to this country - I'm honored you take the time to read grandma's cookie jar! I am honored you would do this; thank you! My Favorite way to each cherries is fresh in the summer. But since it's not Summer, I'll enjoy them any way they come! Thanks for the chance to win. I'm a Facebook Fan, too. Cherry crisp! Yum! Our cherry tree had a huge crop this year for the first time ever. I follow on Facebook, on email, on GC+. Thank you! I like cherries as natural as can be. Following on Facebook, GFC, google and email. Cherry pie is my favorite way to eat cherries (just like you)...my second-favorite way is chocolate-covered cherries! You are in my Google+ circles. I like Grandma's cookie jar on Facebook (Robin O'Sullivan). My favorite way to eat cherries is to wash them and then just pop them in my mouth—they're my favorite fruit! I follow you on Google+ (Sheila Korman)! My favorite way to eat cherries is in a a Black Forest cake. Yummy! I like fresh, ripe cherries.